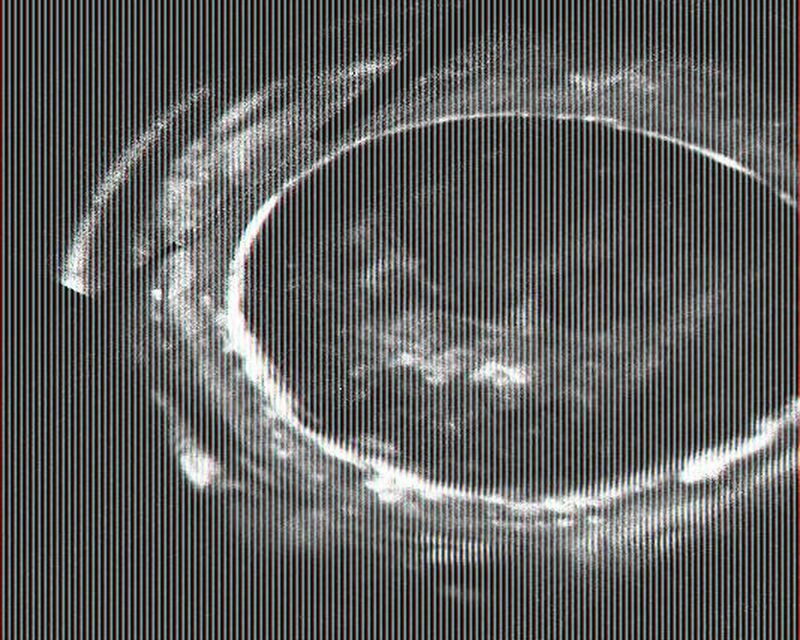 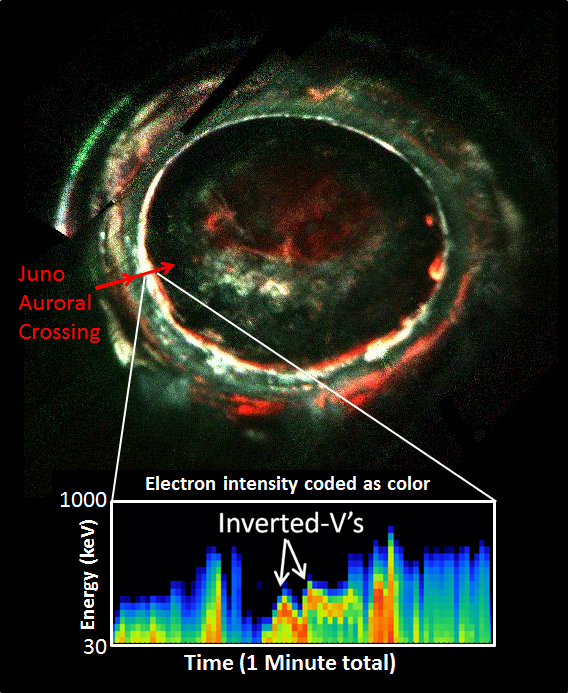 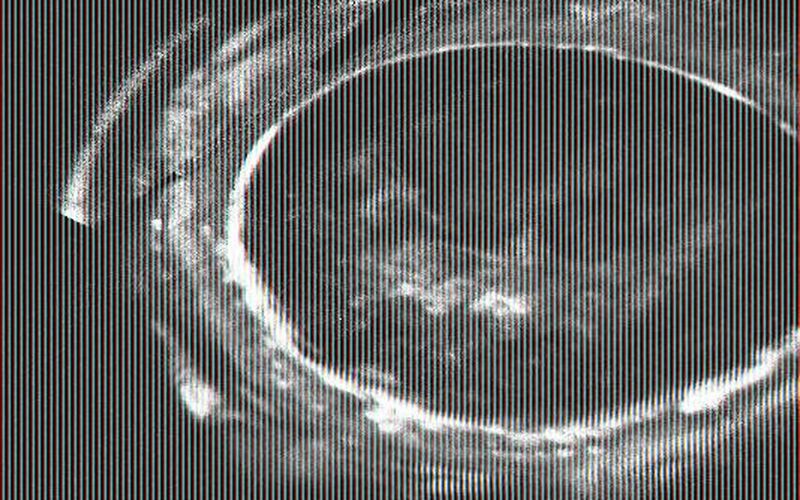 This image, created with data from Juno's Ultraviolet Imaging Spectrometer (UVS), marks the path of Juno's readings of Jupiter's auroras, highlighting the electron measurements that show the discovery of the so-called discrete auroral acceleration processes indicated by the "inverted Vs" in the lower panel (Figure 1). 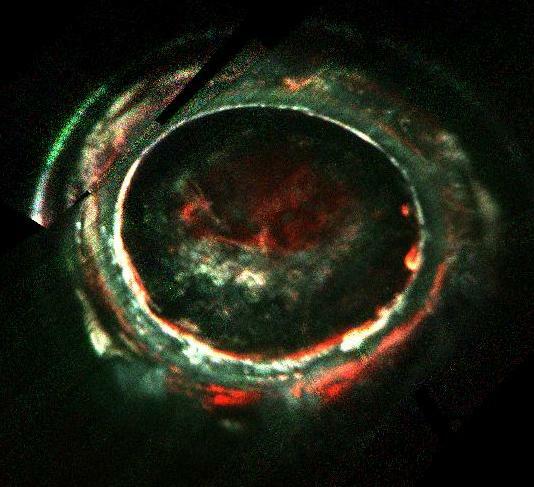 This signature points to powerful magnetic-field-aligned electric potentials that accelerate electrons toward the atmosphere to energies that are far greater than what drive the most intense aurora at Earth. 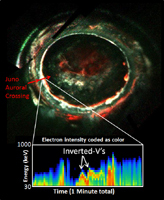 Scientists are looking into why the same processes are not the main factor in Jupiter's most powerful auroras.